Adding new Social Profiles to your Missinglettr account is easy. For social networks such as Twitter, authenticating the account is all that is needed. However, when adding your accounts from networks like Facebook, LinkedIn and Google+, it's quite possible that you will have multiple pages, groups and company pages linked to that one account. In these cases, you need to tell Missinglettr which page or group you would like your campaign content sent to. Quite often, by default we will simply send to your personal feed, so it's important that you make sure you have selected the right one. Notice how the Twitter account (the one shown on the left) simply confirms the name of the Twitter account that content will be sent to. In the case of the Google+ and Facebook accounts, you'll notice that as well as confirming where content will be sent, we also show a 'Settings' button so that you can change the destination if it is wrong. To change the destination, simply press the 'Settings' button next to the social profile you want to update. Doing this will reveal a popup containing all pages and groups linked to that account (and typically, that you are either the owner or an admin of). 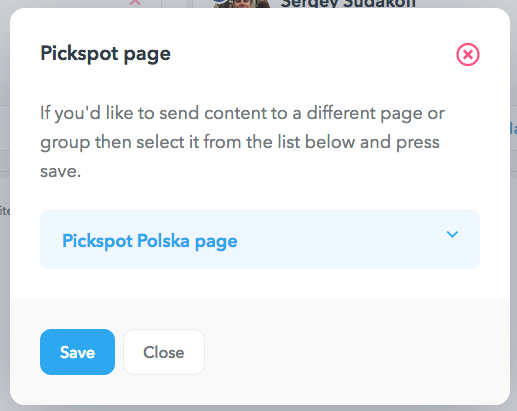 Simply select the page or group that you want Missinglettr to send your campaign content to. Your selection will be saved automatically. And that's it. We'll now send all campaign content to that page or group. 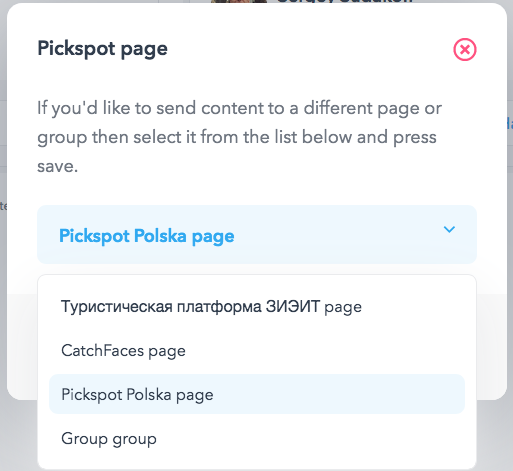 Your pages and groups are not available for selection? Here's what to do in that case.